Eco Efficient Dundee engineers are experts in installing, repairing and servicing boilers and heating systems. Prepare for winter by contacting us for boiler servicing. We do not want you be caught off guard; we carry out all our central heating and boiler repairs as soon as we establish any problem. 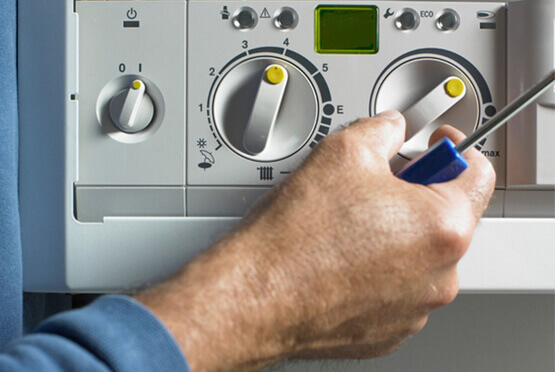 Our timely service saves you expensive repair costs and inconveniencing boiler and central heating system breakdowns. We have directly employed many engineers. Anytime you call us, we will dispatch one our engineers. We do not have a time when we do not have an engineer on standby waiting for your call. Our mobile vans are also strategically parked all over Ninewells, Longforgan, Tealing, Monikie, and Monifieth so as to reach you within the shortest time period when you reach out to us. Professional engineers with the proper tools and experience can only resolve gas and boiler leaks. Trust Eco Efficient Dundee to also handle central heating repairs, boiler installation, power flushing and central heating installations. Professional services save you money; also you are at peace especially with labour and product warranty. Our professional heating services also guarantee safety as our engineers are trained, qualified and experienced in offering services for heating systems. Talk to us today and get the best services in Dundee!